Want to know how you can improve your business communication and productivity? The answer lies in implementing an efficient business phone system that streamlines communication, supports collaboration, and even saves you money. Businesses are becoming increasingly interconnected and competitive, which means that to succeed, you need to use a communication solution that gives your business the upper hand. This article has everything you need to know about phone systems for small businesses. Keep on reading, and you’ll soon discover the answers to all your questions. So if you are ready, let’s begin. The right business phone system provides your business with much more than just better communication. You can increase customer outreach, improve workflow management, and have an easier time running your business. When your business begins functioning at a higher level from the help of your phone system, overall productivity also increases and you’ll be able to meet the increased demands of your customers. In short, business phone systems are an essential tool for growth. Fortunately, developments in modern technology have transformed traditional multi-line phone systems into updated models with a variety of features to choose from. You have the freedom to tailor a communication solution that improves your business capabilities and also scales with your growth. As a small business, it is vital that your business phone system does not hold you back from success. This article will update you on the latest trends and technologies in business phone systems, as well as the features you need to be taking advantage of right now. What features in a business phone system are important to you? How many phone lines and extensions do you need? Do you need a mobile or on-site solution? Is your business phone system prepared for emergencies? Does your business phone system scale with business growth? It is always ideal to have a clear picture of what you’re looking for, to avoid wasting money on a solution that doesn’t improve your business. Essentially, the best business phone system is not always the one with the most features or the lowest-cost option. The optimal solution is simply the one that is in line with your needs and can scale with your business growth. You’ll also be glad to hear that you have many options to choose from such as PBX systems, VoIP, on-site systems, cloud-based systems, and virtual systems. In general, modern businesses tend to use VoIP (Voice over Internet Protocol) along with a back up traditional landline for emergencies when the VoIP is unavailable due to connectivity issues. Although, small businesses are increasingly using cloud-based phone systems due to their extensive capabilities and low cost. Not every one of these systems is going to be suitable for your business. But don’t worry. Later on, you will find out more about them, and by the end, have a better idea of which is best for your business. Your business phone system needs to have the basic capabilities of traditional phones, as well as newer features that enhance your business’ communication and productivity. After all, what’s the point of technological advancement if we cannot take advantage of it? You’ll find it a challenge to think of a business that would not benefit from any new available features or low-cost options, and is better off sticking to older phone systems. The basic functions that business phone systems should have an include answering machine call transfer, caller ID, extensions, speed dialling, dial tone selection, and so forth. Modern phone models will offer additional features that improve communication and collaboration capabilities such as HD voice, SMS, video conferencing, and even mobile/desktop applications that are linked to your business phones. Although you probably don’t need all these features, you have got to admit: they are pretty handy! As a small business, you want to keep an eye on costs. Therefore, focus on finding a business phone system with the basic capabilities and additional features that actively improve your business communication. Interestingly, VoIP technologies are software where features can easily be added and improved at any time. This increases the functionality of the business phone system, as maintenance and adding features becomes fast and lower cost. Unified Communications (UC) is most likely another term that you will have heard, and are unsure as to what it encompasses. Simply put, it is the integration of multiple communication services onto a single ‘unified’ network, resulting in improved business collaboration, mobility, and productivity. Furthermore, UC simultaneously connects your mobile devices and applications so that everything is easily accessible, no matter what device is used. The fact that your communication operates on a single platform allows for seamless communication, both internally within your company and with your customers. Another branch of UC is Unified Communications as a Service (UCaaS), where the UC capabilities are offered to businesses by a provider such as Mitel. UCaas is often used by small businesses as a cost-effective option that gives them the benefits of UC, without having to support their own on-site UC service. The costs of your business phone system will largely depend on the system and features you use, according to your business needs. If your business needs more features and you end up paying more, it’s not necessarily a loss. It can be a cost-effective decision if your business ultimately improves in functionality and capability. You’ll be able to manage and collaborate better, as well as increase customer outreach. Cloud-based phone systems often have simple prices and are easier to manage, because you are outsourcing many functions to your provider. The primary cost is a straightforward, fixed monthly fee that typically starts at £12.99/month/user with no large set-up charges. PBX and on-site phone systems require you to purchase a certain amount of hardware and often charges large set-up fees along with other hidden costs such as hardware upgrades and replacements. This can add up to an increased total cost of ownership, that ultimately has a negative impact on your business. To understand what business phone system is best for your business, you need to be aware of the different options that are available. While reading through each of their characteristics, you will begin to discern whether the system matches your business communication needs. VoIP technology allows you to make phone calls and other communication services via IP networks. As opposed to using a phone provider, VoIP simply uses an established Internet connection and an IP network to deliver communications. Moreover, VoIP technology easily integrates with computers and mobile devices to provide useful features such as voicemails that are sent to your email when you don’t have access to your business phone. The fact that VoIP operates as a software gives it more functionality because features can easily be added and improved to the code, which enables you to save a lot on time and money. Nonetheless, you are more susceptible to technological issues because VoIP relies heavily on an Internet connection. Power outages and disconnectivity can cause reduced call quality, or in extreme cases, you will be unable to be contacted. Due to their lower rates, VoIP providers don’t usually include emergency services, phone directory listings, and other features that traditional business phones have. But then again, these features aren’t generally relevant to businesses, and you still have access to these on your phones. PBX, or Private Branch Exchange, systems are the traditional form of business phones where your communication network remains private within the company and is also connected to the Public Switched Telephone Network. Each employee needs their business phone, often with an extension, which is costly when you have a high amount of employees. In addition to purchasing hardware, you also pay monthly charges to your service provider. However, one of the main benefits of PBX systems is their reliability, as they do not depend on Internet connectivity to function. You will receive consistently high-quality sound, along with other basic business phone capabilities without the connectivity issues faced by VoIP and cloud-based systems. IP-PBX systems are essentially a hybrid between VoIP technology and PBX systems. They use VoIP technology on software-based phones, as well as hardware phones such as conference phones. Technically, IP-PBX systems are still private branch exchange, but calls can be made through either VoIP or the regular PBX system. What this means is IP-PBX systems are more flexible, inexpensive, and small business-friendly versions of PBX systems. They offer the stability of PBX phone systems, with the additional audio, video, and IM capabilities of VoIP technology. They are a good transition national phone system between traditional on-site systems and cloud-based systems. Therefore, you can continue using the business phones that you are accustomed to while adding in newer functions. On-site business phone systems are one of the most expensive options, as they not only require you to purchase hardware but also require your staff to have capable IT skills for maintenance. The entire phone system and the network are set up on your premises, which means that you are in control of management. On the other hand, on-site systems offer a higher level of security because your data and communication are stored at your business premises. You aren’t prone to hacks or data fraud, and you can modify the level of data protection. As the name suggests, cloud-based business phone systems are VoIP systems that hosted on the cloud and are a complete phone system with full UC capabilities via UCaaS. They are relatively low-maintenance and easy to set-up with simple, fixed monthly costs. Your service provider manages your network maintenance and equipment, enabling you to make calls from your business phone, desktop computer, and mobile device. What you’ll also find is that more of your time and money is freed up, as you no longer have to run your phone system! It should also be noted that cloud-based systems often result in you heavily relying on your service provider, which means that you ultimately have less control over your data security. But it’s highly unlikely that your provider won’t have tight security measures and fraud protection. Now that you understand the different types of business phone systems, it’s time to introduce you to some of the top providers in the UK, and their small business solutions. These companies are generally multinational corporations with the capacity and resources to develop innovative business products and services. 8×8 are a household name amongst businesses due to their products in cloud-based and communication services. For the past four consecutive years, they have been awarded as the best Cloud Unified Communications leader by IHS Markit. Their clients include McDonalds and Regus, which demonstrates the popularity and efficiency of their business solutions. For small businesses, 8×8 offers a cloud-based VoIP system that has multiple unified communication features such as a business softphone, visual voicemail, video calling, directory, and web conferencing. You can purchase additional IP phones and add certain PBX features such as extension dialling, call recording, and call transfers. 8×8 claims to be able to cut your monthly phone bills in half, and have a wide variety of call plans, including one that allows you to make calls to up to 46 countries. Besides their small business solutions, 8×8 also offers industry-specific services for healthcare, manufacturing, recruitment, and call centres. What are the benefits of the 8×8 phone system for your business? RingCentral is another popular provider that offers cloud-based business phone systems for small businesses that incorporates essential functions such as call management, conferencing, HD video meetings into an accessible platform. Over 350,000 businesses worldwide use RingCentral due to their flexible, small business-friendly solutions. Firstly, you have full control of your business communication network and can tailor your solution to match your business needs by using additional features such as a mobile app that allows you to bring your device. RingCentral’s cloud-based VoIP phone software is also integratable with other cloud-based applications such as Skype, Google, Microsoft, and Salesforce. This provides your business with more convenience, as most of your business applications are available and accessible on a single platform. What’s more, RingCentral offers a free trial for your business and a straightforward monthly fee structure. They even promise to save over 30% against traditional phone systems and offer industry-specific solutions for businesses in retail, financial services, real estate, and more. What are the benefits of the RingCentral phone system for your business? Mitel is a global telecommunications company that offers cloud-based VoIP, IP-PBX, and on-site business phone systems. They offer a wide range of choices and flexibility that enable you to tailor solutions according to your business needs. Mitel also provides extensive coverage of industry-specific solutions for education, government, financial services, retail, professional services, and more. Their small business phone systems also accommodate a range of communication needs such as increased mobility where you can be reached anywhere through any device, via a single number. To make sure that you have access to the essential functions, Mitel maintains the basic business phone features for small businesses such as voicemail, instant messaging, web conferencing, video calling, as well as Unified Communications. Furthermore, Mitel integrates multiple layers of security into their services such as prevention of unauthorized access, Internet VoIP attacks, and voice encryption. What are the benefits of a Mitel phone system for your business? Cisco is a multinational technology company that offers business phone systems and services to a large range of business types and sizes. They give you the option to manage your communication network and scale the features to match your business needs. Their diverse collection of business phone systems use VoIP technology to enhance your business communication and collaboration experience. Cisco also offers Unified Communications to integrate your communication system onto a single platform, including features such as voice calling, video conferencing, instant messaging, and more. Cisco also takes into account the working capital availability of small businesses, and have solutions that provide efficient communication between employees and customers, at an affordable price. 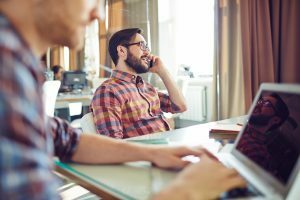 What are the benefits of Cisco phone system for your business? BT (British Telecommunications) is a trusted and long-serving phone systems provider based in the UK. They offer communication solutions that are small businesses-friendly, with rates that begin at only £6.40 per user per month. Currently, BT gives you a choice between Cloud-based VoIP system, On-premises PBX system, and their cloud-based BT One Phone solution which combines your business and mobile phones. You should know that when you use BT as your phone systems provider, their systems work best with their broadband and phone models. What this means is that you will most likely have to use BT exclusively for your entire communication solution. Although it somewhat limits your freedom to pick and choose, it also means that setting up and maintenance becomes a lot simpler when you use a single provider for everything. What’s more, BT VoIP phone systems also have features that improve your interconnectivity with your employees as well as your customers. These include hot desking, video and web conferencing, and voicemail-to-email. What are the benefits of BT phone system for your business? Intelligent features such as SRTP voice encryption, click-to-dial, computer telephony integration (CTI), and web conferencing. 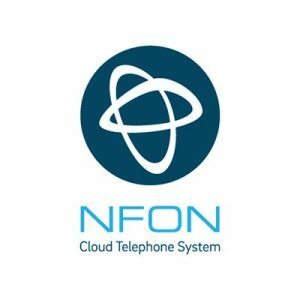 Since their beginning in 2007, NFON has steadily risen in popularity as a top VoIP phone systems provider in Europe and the UK. NFON provides quality, scalable cloud VoIP phone systems for businesses of all sizes. They don’t require you to purchase any bulky, expensive hardware since their telephone system operates as a cloud service. Furthermore, NFON also offers no minimum contract term, which means that they provide you with an unmatched level of flexibility where you can use their service at your chosen level. Their rolling monthly contracts mean that you’ll pay as you go, and have no long-term commitments. With the NFON phone system, you will no longer be limited by location. Their VoIP system allows you to make and receive calls, as well as perform 150 other business phone functions, from any communication device including your mobile phone. 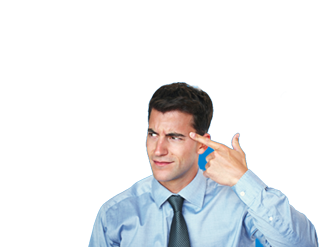 What are the benefits of NFON phone system for your business? Lily Comms are a relatively new VoIP provider in the UK who have provided award-winning phone systems for over 2500 businesses and are dedicated to providing their customers with the most suitable communication solutions. Moreover, Lily Comms offers personalized and efficient customer service, as well as unique, specialized solutions for industries such as hospitality, business services, and health care. They are one of the most cost-effective providers in the UK, with rates beginning at £6.99 per user per month. What’s more is that Lily Comms also boasts an impressive portfolio of client success stories, including customers such as Lidl and the NHS. What are the benefits of Lily Comms phone system for your business? Sipgate is a small business-friendly phone systems provider, originally hailing from Dusseldorf, Germany. Since 2004. Sipgate has worked to become a trusted, innovative provider with full transparency of their products and prices. They currently work with over 15,000 businesses across Europe and the UK. They offer cloud-based VoIP phone systems, as well as SIP trunking, that both seamlessly with a wide range of phone models. If you’re unsure about signing on, Sipgate also provides a free 30-day trial, and month-to-month contracts with no minimum. One of the primary selling points of Sipgate is that they provide a business phone system that maximises your interconnectivity and communication in your company. No matter where you are, you can be easily reached via the same business phone number. What are the benefits of the SIPgate phone system for your business? Telappliant is an award-winning IP PBX phone systems provider that offers integrated cloud-based solutions covering a wide range of solutions including voice communication, business internet, and other cloud services. Over the past 14 years, Telappliant has helped over 20,000 businesses grow using a range of specialized and customizable products. They currently hold a 9.5/10 rating on Trustpilot, with customers praising cost-savings and scalable communication solutions. As an industry expert, Telappliant has accumulated enough experience to understand your unique business communication needs to offer cost-effective solutions that streamline and improve your communication. What are the benefits of the Telappliant phone system for your business? Vonage provides flexible VoIP phone systems for all types of businesses, including small businesses. Their easy to use the system not only allows you to keep your existing phone number but also gives you the ability to connect your office phone line with your mobile to stay connected at all times. This is done by running your business phone system through the cloud, which allows you to work from anywhere. Their packages begin at £12 per user per month. Vonage also claims to save up to 30% over traditional phone systems due to their easy setup, cost-effective VoIP technology, and flexible contracts. In addition to their regular customer service, Vonage also provides further support in the form of How-to videos and downloadable user guides. What are the benefits of Vonage phone system for your business? The following Top 12 Office Phones are ranked in no particular order. Although they range in price and functionality, they still provide the optimal business communication solution for your business. If your business is small and you only require basic communication functions such as conferencing and call transfer, then you would be suited to one of the simpler office phones such as the BT Converse 2300. However, if you see rapid expansion shortly then a mod,el such as the HiHi Video Phone or Samsung IP Phone SMT-i5343 will be better suited for your business. These office phones offer more functionality in your business communication to accommodate a growing number of clients and employees. The Mitel 5304 IP Phone is a great option if you are a small business watching your budget. You still get the core office phone functions such as conferencing and voicemail, which allows you to run your business better. If you want an easy introduction to office phones, then the Mitel 5304 IP Phone is the perfect model for you. It’s all business with no complicated features, and pairs perfectly with Mitel’s own office phone systems. What are the benefits of Mitel 5304 IP Phone for your business? The BT Converse 2300 is one of the most efficient and low-cost office phones in the market. Not only does BT offer a 1-year warranty on their product, but the BT Converse 2300 also comes with a detailed manual for hassle-free setup. Simply follow the instructions, and you’re good to go! What’s more, online reviews consistently praise the BT Converse 2300 for its simple and inclusive design, especially for the hearing impaired. You can redial the last ten numbers, and it also comes with a 50 number call log – so you are always able to return an important call. All in all, the BT Converse 2300 is a solid and reliable office phone. What are the benefits of BT Converse 2300 for your business? The Cisco IP Phone 8811 is a modern IP Phone that is ideal for small to medium-sized businesses. Starting at £165, it has more capabilities and functionalities than cheaper models, while still offering the main features of an office phone. However, the Cisco IP Phone 8811 elevates itself with a wide range of calling features such as auto-answer, call park, music-on-hold, as well as silent monitoring and recording. Undoubtedly, you can greatly improve your business communications by taking advantage of its features. But you should still carefully consider whether £165 is a price you are willing and able to pay for your office phone. What are the benefits of Cisco IP Phone 8811 for your business? Ten additional function keys on the keypad for features including transfer, conference, and Do Not Disturb mode. The Snom D375 leans toward the high-end side of office phones. If you are a business anticipating growth in the future, then this is one of the best phones that can support that growth. Its high-resolution colour display screen allows you to conduct business much more smoothly as it visualizes all your business communications such as your call directory, address book, and functions. While the £219 price tag may seem a bit steep, you best believe that you’ll be getting your money’s worth with what the Snom D375 IP Phone has to offer. What are the benefits of Snom D375 Desk Telephone for your business? The Polycom VVX 201 Desktop Phone is a solid office phone for small to medium-sized businesses that want a simple phone with straightforward and capable features. It improves your business phone calls and offers more functions than traditional office phones, while still maintaining ease of use. One of their most attractive components is their HD sound quality, which promises to improve the quality of your phone calls for both your employees and customers. If you want a durable and reliable office phone, then look no further than the Polycom VVX 201 Desktop Phone. What are the benefits of Polycom VVX 201 Desktop Phone for your business? The Samsung IP Phone SMT-i5343 is one of the best high-end office phones, offering a large range of features and functions. It provides you with more mobility and flexibility than any other office phone, as you can work on the go by “logging in/out” of your IP phones. With its award-winning design, you’ll find that business communications become more streamlined. Not only will your employees, customers, and suppliers experience better quality calls, but the increased mobility and accessibility also allows you to run your business more efficiently. What are the benefits of Samsung IP Phone SMT-i5343 for your business? The HiHi Video Phone is essentially an office phone that doesn’t look like one. What I mean by this is that almost all its functions are accessed through its large touchscreen display. The only physical aspect that remains the same as traditional phones is the presence of a receiver, which you don’t even have to use! The HiHi Video Phone is undoubtedly one of the most advanced office phones in the market, as it completely changes and improves the way you run business communications. However, it is also important to consider if your business needs an office phone like this because a highly developed model also comes with an equally high price tag! If you are a small business, chances are you don’t need the HiHi Video Phone. You are most likely looking for a lower cost office phone that still improves your business communication. But you’ve got to admit – it sure would be nice to have one! What are the benefits of HiHi Video Phone for your business? The Cisco SPA525G2 is a VoIP-compatible office phone that provides a platform for better-streamlined communication for your business. The high-quality colour display visualizes various calling functions, which makes it easier for you to communicate with employees and customers. Supporting up to 5 lines, the Cisco SPA525G2 is an ideal office phone for growing businesses that need a scalable communication solution. As your business expands, you won’t have to worry about whether your office phone can support the increased workload, and you will run your business worry-free. What are the benefits of Cisco SPA525G2 for your business? The Panasonic KX-TGF320E is a simple and reliable office phone that is still budget-friendly for small businesses. Apart from offering the core office phone features, they also pack in newer functions including a Do Not Disturb mode where you can manually program exceptions for specific contacts. It comes two pieces of hardware: a traditional corded office phone and a cordless handset, which gives you more flexibility with your communication. For only £69.99, you’re getting a bargain! What are the benefits of Panasonic KX-TGF320E for your business? The Gigaset DE410 IP Pro is a standard IP Phone for small to medium-sized businesses. It is extremely flexible because it comes with preconfigured settings that are specific to certain VoIP providers. What this means is that you won’t have to waste time trying to set up your office phone to support your chosen systems provider! Plus, you can connect it with your desktop PC, which gives you more mobility to access the telephone features even while working on your desktop. The Gigaset DE410 IP Pro is has a design that is simple enough for you to easily use and improve your business communication. What are the benefits of Gigaset DE410 IP Pro for your business? The Polycom VVX 301 is a straightforward office phone, suitable for small to medium-sized businesses with its simplicity and core features. It’s a sturdy phone that will scale with your business, as it supports up to 6 lines and offers HD Voice quality for better communication. What are the benefits of Polycom VVX 301 for your business? The ESI ePhone 7 is a modern office phone that offers an attractive alternative to traditional button programming, paper directories, and blind voicemails. Essentially, it is a “smartphone experience on your desktop” where you have access to familiar smartphone features, but with the broader capabilities of an office phone. Also, the advantages of Unified Communications are endless as all your voice, video, and data communication is integrated into a single, easy-to-use platform. Your business communication experience is guaranteed to improve, but consider that like the HiHi Video Phone, an office phone like this will also come with a large price tag. What are the benefits of ESI ePhone 7 for your business? Hang in there; you’ve almost made it to the end! But before you leave, here is a list of questions that you should consider about business phone systems, to make the best decision for your business. Are you willing to invest in hardware and maintenance costs? Does it offer the communication features your business needs? How much control do you want over your communication network? If you use the above questions as a guide when you are choosing a business phone system, then you can rest assured knowing that you’ll make the right choice! All in all, the right business phone system can drastically improve your business communication, productivity, and collaboration capabilities. It enables you to improve workflow management and customer outreach, ultimately resulting in smoother operations. As a small business, you understand the importance of finding a cost-effective solution that also enhances your business and paves the way for growth. Choosing a business phone system is no small task, but at this point, you should be well-equipped to begin shopping around.